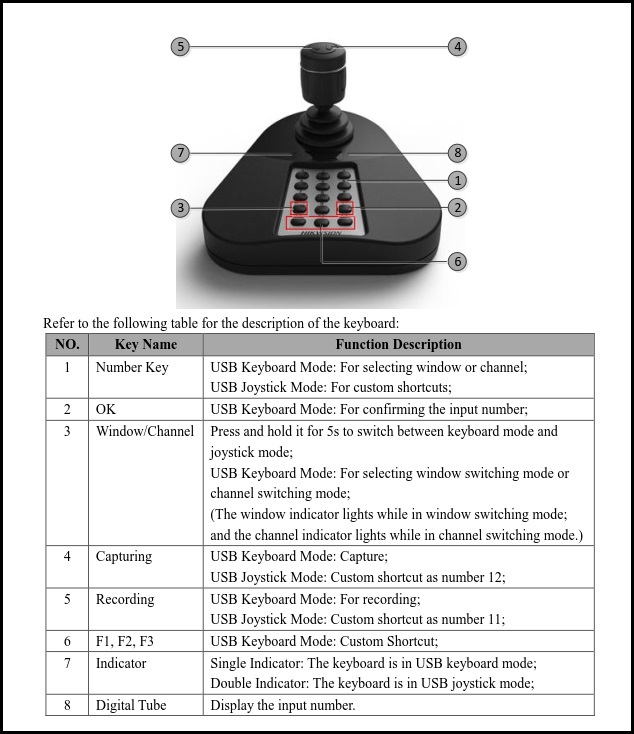 The DS-1005KI keyboard is a USB interface controlling keyboard which supports USB HID protocol. It supports various programmable keys for users to set custom functions and is equipped with simple interfaces and the operation is simple. The DS-1005KI can be widely used in public security applications.